Earlier this week, foam-filled boxes barricaded the Weisman Art Museum's permanent collection gallery. Each box contained carefully cosseted pieces of glass. Some were simple flat shapes, others ornately sculpted. 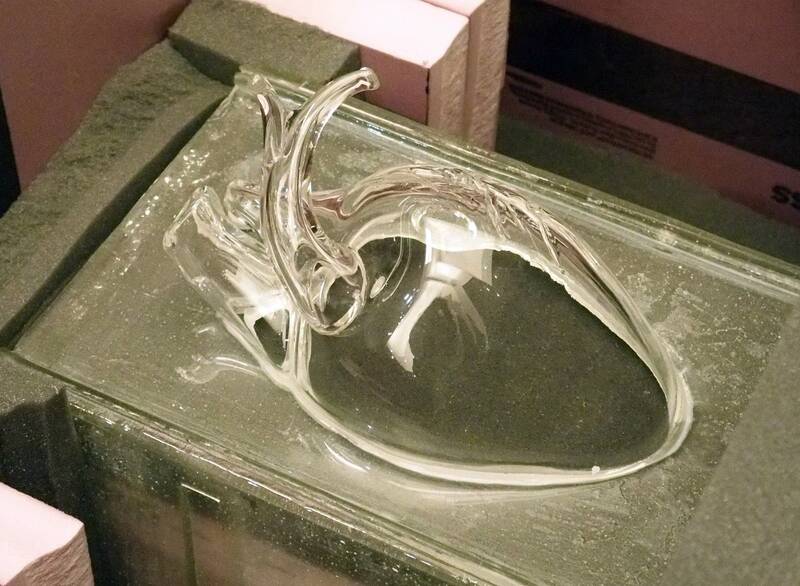 There is even a beautifully hand-blown representation of a human heart. Most of the glass is clear, a few pieces sport eye-catching color. "Can you see what it is?" asks artist Beth Lipman as she shows off a couple of treasures. "It's Gertrude Stein's driver's license from Paris. 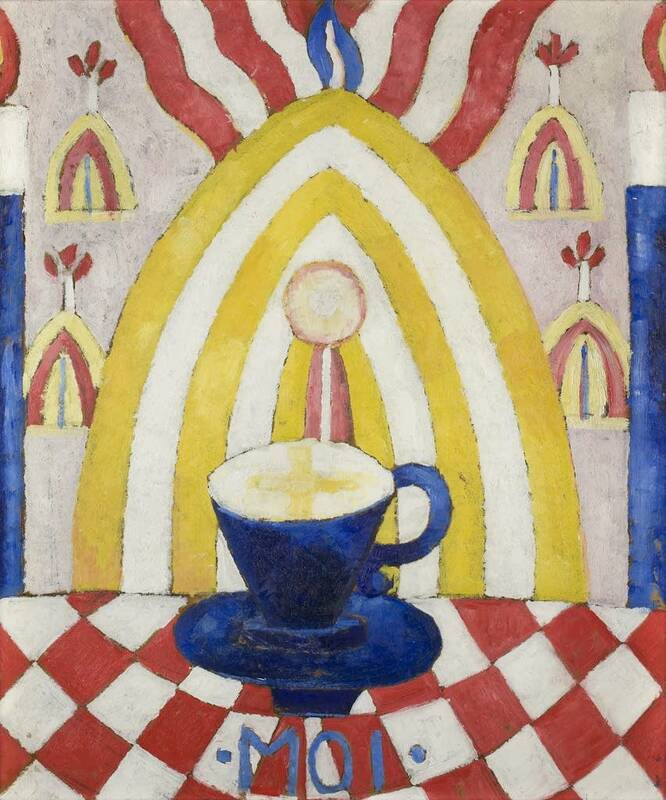 And this is really nice, this is Marsden Hartley's toll ticket or something." These are not the actual items, but glass recreations Lipman made in her Sheboygan Falls, Wis., studio. They are based on years of research into the lives of early 20th century modernist painter Marsden Hartley and writer Gertrude Stein. The installation is titled, "One Portrait of One Man." "The piece itself will be a glass cabinet," Lipman said. "Within the glass cabinet are mementos of both Gertrude's life and Marsden's life that I have re-interpreted into glass." This is no random selection of early 20th century artistic icons. Stein was Hartley's friend and patron. His homage to Stein, a 1916 oil painting called "One Portrait of One Woman" is part of the Weisman's extensive collection of Hartley works. Lipman's glass cabinet is based on a bedroom vanity. The real Hartley painting will hang in the spot where a mirror would usually be placed, so the word is front and center. Lipman describes it as a triple portrait. "Moi! It is me, and it is also Gertrude, and it is also Marsden. And it is also whoever is standing in front of it, witnessing it," she said. Lipman is nationally known for her work. 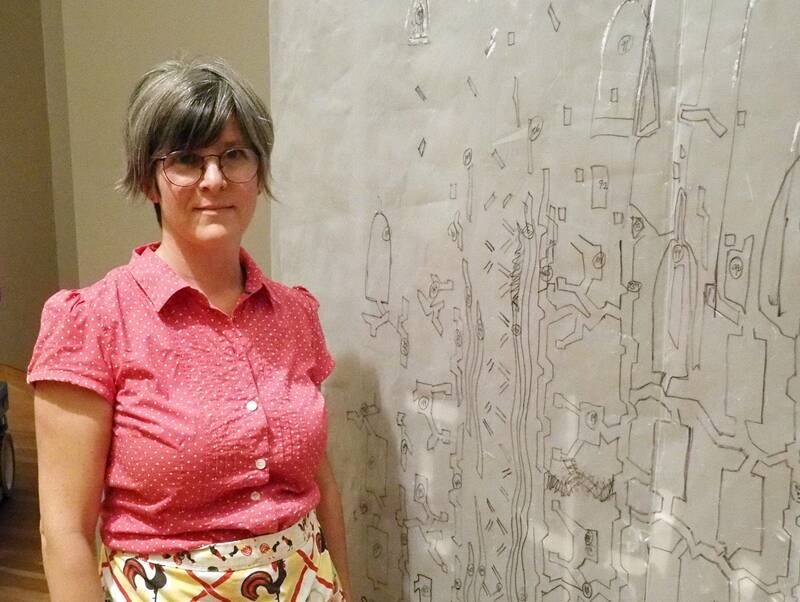 While she is primarily a glass artist, her pieces are based on the 17th century tradition of still life painting. She began talking to the Weisman several years ago about a commission pegged to the museum's expansion, which was completed in 2011. However, curator Diane Mullin said with Lipman's career taking off, she has been busy, and it's only now she has been able to complete the commission. Mullin said Lipman's piece continues an older idea of re-examining pieces in the Weisman collection. "I think it's a big goal of ours, a big mission of ours, to be activating historical works through contemporary lenses," she said. Mullin said the new piece presents an interesting challenge, particularly if it is to travel. While the painting can exist on its own, the glass installation needs the painting. But that's all for the future. 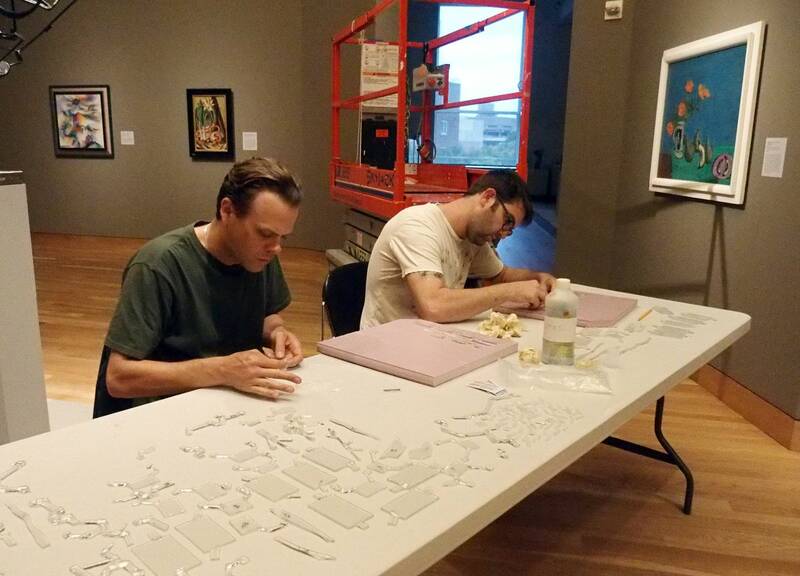 Now, Lipman is engrossed in the task of fitting the hundreds of glass pieces together. While the vanity is normal size, the piece extends close to 11 feet in the air with glass shapes forming wallpaper representing elements from Hartley's life. When asked if it's stressful to be around all this glass, Lipman said no. "You just get used to this idea of breakage and fragility, as much as any of us get used to the idea of our mortality, right?" she said. "Like something will inevitably break." She says that's what makes glass an incredibly potent material. It's a metaphor for life.